As a curator, one of my main responsibilities is to acquire new objects for the collection. We do this in a number of ways, but usually by attending auctions or encouraging donations. The idea is that we preserve special objects for future generations and find new ways to tell the stories of our palaces and the people who lived and worked in them. Acquiring any new object for posterity is a good feeling, and sometimes, just sometimes, something really special comes along. The Bristowe Hat is a very rare example of Tudor or very early Stuart fashion. It first appeared on my desk in the form of an email. (‘Did we want it?’) I was certainly very intrigued so I arranged to view it in person. (‘Yes, we wanted it!’) I set about researching it and consulting other scholars. And so, in the middle of doing my last minute Christmas shopping I was also making sure that we got the hat. The deal was sealed on Christmas Eve. One of the reasons it’s so special is that so little dress survives from that period. In the sixteenth century, materials were expensive and clothing was highly prized. It was often handed down and repurposed or worn until it fell apart. 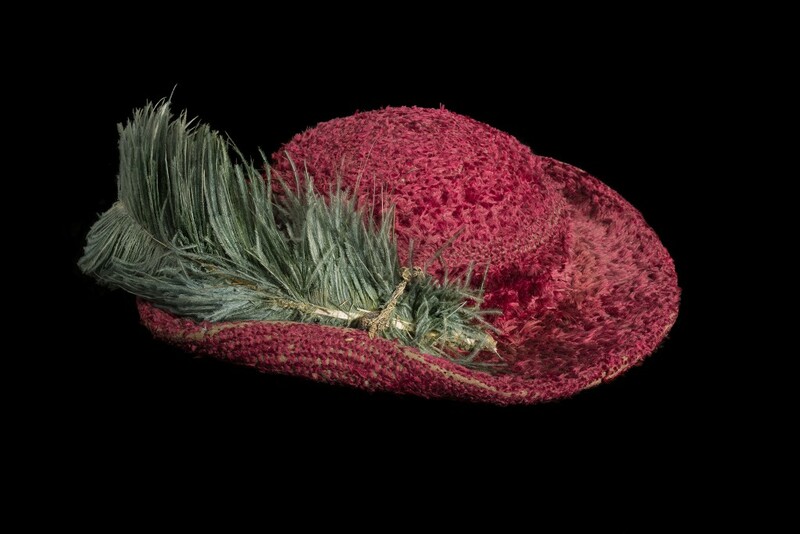 This hat is in remarkable condition for its age, and is clearly a very high status hat – it’s made from silk tufting, with a green feather, silver button, and evenly positioned holes for attaching jewels. The other reason we really wanted this hat was its provenance. The hat has always been in the possesion of Bristowe family, who trace their genealogy to important Tudor courtiers. Nicholas Bristowe (1495-1584) was the most prominent member of the family. From the late 1530s, he was Clerk of the Wardrobe and Beds. From 1544 he was Clerk of the Jewels to Henry VIII, Edward VI, and Queens Mary and Elizabeth. His brother, Robert Bristowe, was Purse Bearer to Elizabeth I in the later years of her reign. Family tradition has it that this was Henry VIII’s hat. Apparently,Nicholas Bristowe caught it when King Henry threw it in the air at the surrender of Boulogne in 1544. This is a good story but it cannot be verified. However, it has ensured that the family have treasured it and kept in the best possible condition. It’s also an interesting link to the Tudor court opening up new stories about the lives of sixteenth century courtiers. So far, we have been able to uncover that Nicholas received gifts of clothing from the king on more than one occasion and also inherited the clothing of prisoners attained for treason at the Tower. For example, Nicholas received some of Thomas Cromwell’s clothes as a gift from the king at Hampton Court, the day before Cromwell was executed. Distributing the goods of prisoners was the king’s prerogative and a common practice – it was a way of demonstrating his power and authority.